The easiest way to the Zagreb Bus Station is by tram. Take any tram numbered 2, 6, 7 or 8 - if none of those pass near your accommodation, check out the Zet tram line map and figure out your route. Bear in mind that the highest levels of traffic congestion in Zagreb, the capital of Croatia, are on workday mornings and afternoons, between 7 A.M. and 9 A.M. and 4 P.M. and 6 P.M. as people are trying to get to school or work, so if you have to leave at those times, reconsider lugging your suitcase to a sardine-packed tram. If you happen to travel to Zagreb Bus Station after 11 P.M., check out the no.31 night tram schedule. If you’ve just arrived to the Zagreb bus terminal, or in other words Croatian main bus station, we would not recommend using the first taxi you come across, as the ones standing there tend to be a bit more expensive than the others. Take a few steps left or right and call one. Seriously. Double rainbows. On the serious side, if you’re entering from the south side, you’ll come across the ticket stands/windows straight away. There’s a lot of them, but only a few actually work at any given time. Wouldn’t it be best to get your ticket previously - why not buy it online and save a lot of time? And spend that time reading something or sipping coffee or doing whatever you like? Besides the counters where you can buy your tickets, there si also an information counter that you can contact and check new offers, discounts, news, timetable, work time and so on. In case you need to use the facilities, toilets are charged 3 HRK / 0.41 €. You can find them on the left when you’re going towards the exits of the platforms (with Držićeva behind you). If you suffer from spatial orientation problems, just follow the signs. At street level, you can find a pharmacy and a bakery, both open 24/7 if you need them. The parking lot is located at the back of the bus station in Zagreb. And yes - you’ll need to pay for the spot. According to that, as always we suggest you to prepare coins for parking or to make sure you’ll have enough money on your mobile so you can pay that way. Zagreb bus terminal is fully adapted for people with disabilities. Wheelchair entrance and elevator can be found in the inner, northern part of the building - ask a staff member, it's not easy to find from the front entrance. We suggest you start by dropping off your baggage, packages and other such items at the luggage check - you can find it at arrival platform 106. It’s reasonably priced. AKZ cannot be found responsible for valuables or money, so do not leave gold bars, diamonds or wads of cash in your luggage. Same goes for the taxis. About ten minutes to the south (with the train bridge behind you), you’ll find the 16th Meridiem monument. Did you know that it goes straight through Zagreb? Now you do. Within the Green Gold center, you’ll find a nice Chinese restaurant and in the weekend evenings, this is a popular venue for folk and Croatian dance music, if you like that kind of thing. Going the other way, right in front of you and to the east, you’ll see black monolith with glowing dots called VMD where you’ll find more cafe bars and the Lateral restaurant. There is a culture center / concert hall Tvornica Kulture nearby. It’s only open in the evenings, when there’s something going on. Their website may be cool, why don’t you check it out? If you turn right before Tvornica, onto Ljudevita Posavskog, you’ll come across the Automobile Museum Ferdinand Budicki. It's open every day, from 10 A.M. to 7 P.M. If you have a few hours before departure, hop onto a tram and you’ll be in city centre in a few minutes, where you can sample the local craft beer revolution or get something to eat in the numerous restaurants and fast food places. If you choose to walk, it will take around 20 minutes to get to the Jelačić Square. Vollo Tip: Some of the bus terminal cafes are open 0-24, so you can get a coffee or a beer at any time. Not really a club, but coffee is decent and you might come across some interesting characters, maybe even make friends. You have just finished your Zagreb tour and now you feel ready to visit some new travel destinations? Let us suggest you one of these beautiful Croatian cities: Osijek, Plitvice Lakes, Rijeka (the most popular Croatian port), Porec, Sisak, Sibenik, Trogir and Varazdin. You can easily find your bus tickets online at Vollo's web page or app. 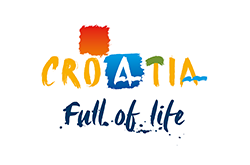 Considering the fact that Croatia is full of beautiful cities, we can mention the following: Crikvenica, Dubrovnik, Makarska, Umag, Pozega, Slavonski Brod, Rovinj, Opatija, Pag (Novalja) and Vukovar. Besides Zagreb, Dubrovnik is a real Croatian pearl. Furthermore, Zagreb may be the capital city of Croatia, but Dubrovnik is one of those cities that no one wants to miss while on their visit. There are a number of interesting events waiting for you in these cities and believe us you don’t have to worry about possible departures for your chosen destination. Most of these buses leave on a daily basis, so that means your transport is secured. When it comes to the international travel destinations you may want to visit one of these: Vienna, Belgrade, Budapest, Graz, Mostar, Munich, Sarajevo, Trieste, Venice, etc. Each of them is located in Europe, pretty close to Zagreb, so there’s no need to worry about the distance. Vollo Tip: On your way home please make sure you are at the bus station at least five minutes before the arrival bus time marked on the web. Be aware that sometimes the public transport can be really late, don’t miss your bus ’cause of that.